More and more colleges and universities are coming to understand that homeschoolers represent a pure untapped and untainted stream of fresh blood to the thinking world. Consequently, many such institutions, including such ivy league schools as Harvard and others, are actively seeking out homeschoolers to come to their schools and are setting aside spots for just for them. 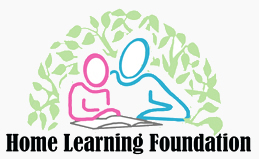 The Home Learning Foundation is in the process of contacting every college to get specific information about what their interest is, what their requirements are and what scholarship programs they have for homeschooled students. The information obtained will be added to the Database, as it is received, including the scholarship information. Other scholarship programs, independent of those offered by the institutions themselves, are shown here and will be continually updated. The American Council on Home Learning will assist, when and where possible, in helping match available scholarships with NHSA members as well as providing some of their own. You must Log In as a Member to view Scholarship Information.